Filled with comfort food that will top your chart! If you’re looking for some recipes that you’ll add to those handed down in your own family, you should consider purchasing Ava Miles’ Country Heaven Cookbook: Family Recipes & Remembrances. This relatively short cookbook (67 pages, including an excerpt from Miles’ novel Country Heaven) is chock full of the best in comfort food. 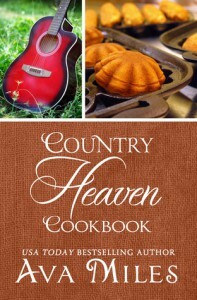 Not only are the recipes from Country Heaven included, but also several from Miles own family. In addition to being a bestselling author, Ava also worked as a chef. So you know that she’s made sure to test these recipes out and they’re so clearly written that it’s a sheer pleasure to follow them. May I say, I was particularly delighted by this book as I had loved the inclusion of recipes in the novel, but they were hard to find (my little magnifier search icon was a bit overused as I searched for corn bread and some other favs). Now, I just open up this handy cookbook and all the recipes are there - and are indexed - so no more searching is needed. These dishes are both fun to make and a joy to eat. I whipped up a batch of that cornbread last night and it was light, airy, and tasty… I was lucky to have enough left to toast this morning (one of my favorite breakfast treats) after some friendly locusts descended on it. My friends unanimous taste test verdict? This was probably the best cornbread ever - and I take no credit for it. It’s purely Ava. Really, cornbread was one of my Nana’s (Dad’s mom) favorite things to make, along with Angel Food Cake for birthdays, and Lady Baltimore Cake for special occasions (yes, just like Ava’s family). But I have to say Nana's cornbread was much heavier as the proportion of flour to cornmeal was equal. This recipe shakes that dynamic up and the results are FABulous. Some other recipes include fried chicken (and yes, this is the exact same recipe that was passed down in my family, even to the milk gravy), a lemon meringue pie that my father would have loved, cream puffs (I’ve never attempted these, but just may with this recipe), candied nuts that just look so tasty, a great BBQ dry rub, and, oh yes, buttermilk biscuits. Ava makes reading these recipes fun with her personal interjections and humor. But for a cook, this is like a treasured gold mine volume of down home comfort foods. 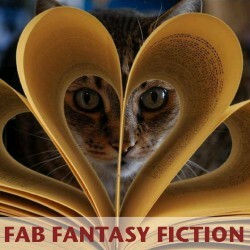 I look forward to more books - and recipes - in Ava’s Dare River series. Next up is THE CHOCOLATE GARDEN (pub date: 12 August 2014). Chocolate and Ava, mmmm. Can’t wait! Add Ava Miles' Country Heaven Cookbook: Family Recipes & Remembrances to your cookbook shelf. It's comfort food that will top your chart!